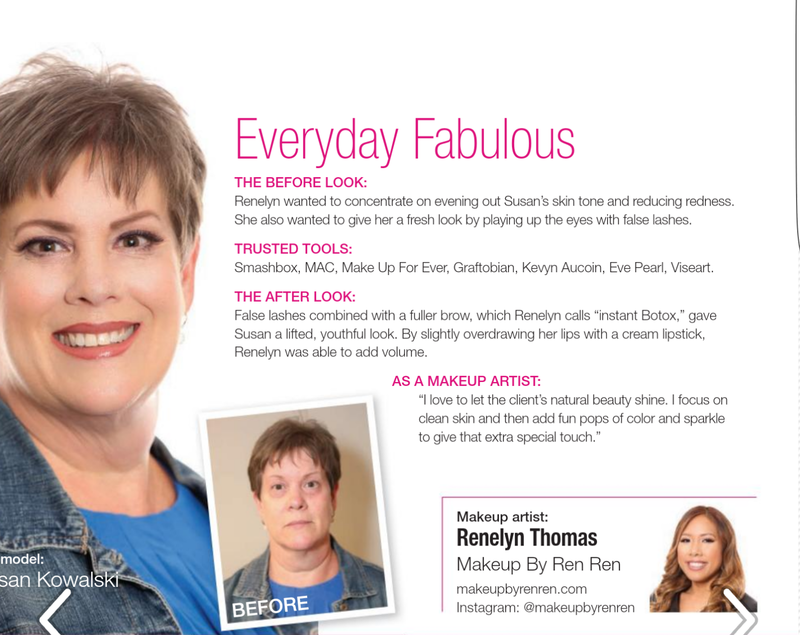 I’m excited to share with you my feature in Best Self Atlanta magazine. Here are some shots from my one hour makeover on Susan. I also show you some tips to achieve this look. These are some easy tips to get your own “Everyday Fabulous”. I had one hour to make over a reader of the magazine. The women attending the event were everyday readers and they all wanted a little glam in their life. In one hour I made my model look 10 years younger with just a few key products. Fuller brows give a more youthful appearance. Shine in the center of the lips plumps up the lip shape. If you’re interested in booking your makeover, visit the contact section and send me a message!